UPDATE: If you want to start a blog but aren’t sure where to start then I’d love to tell you about a simple and easy resource that worked for me. Bonus points because it’s actually FREE right now. Get the First 10 Steps of a Profitable Blog that walks you through the 10 steps you MUST get right in start and building your blog here. Many people turn to Elite Blog Academy for foundational blog training if they want to create a full-time income from their blog. 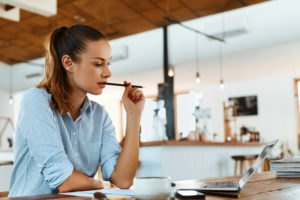 That’s understandable since being able to make a full-time income from your blog means that you can work from home, work limited hours, and even travel while you work. Elite Blog Academy could be the answer to that dream and in many cases, will be. But there’s a few things you need to be aware of before you even think of making this investment. I’m creating this review to outline every aspect of this decision including the drawbacks and how to tell before you start if you’ll be successful. As someone that grew their blogging income from a brand new blog and earning $18/month to full-time income in just 10 months, I strongly suggest you read this entire article before making a purchase. -Fair warning- This is long. It’s a lot of money to invest and I want you to know what you’re getting into. If you're looking for a “sales post” where they only tell you the good parts, keep looking… This is a deep dive. 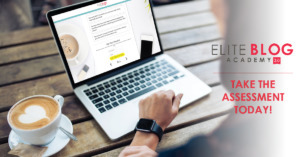 Elite Blog Academy is a complete blogging course taught by Ruth Soukup, a seven figure blogger from Living Well Spending Less and a NY Times best selling author. After being created in 2014, it quickly grew by word of mouth to become the standard in foundational blogging courses. 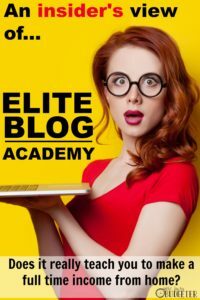 Because Elite Blog Academy is a foundational course, it means that it covers the entire framework of building a successful and profitable blog. So rather than focusing on just “how to earn affiliate income” or “how to increase pageviews”, it teaches you how to do each of those plus everything else that you need to do, in the order you need to do it, to create a long-term sustainable business from your blog (even having extensive later chapters on hiring and outsourcing when your income has risen high enough to support that). I took Elite Blog Academy in 2014 as part of their first initial class. I wish I could tell you it was a well calculated and well researched move… but that would be a lie. The truth is that I was a former State Trooper of 9 years, who had quit and started a home daycare so that I could stay home with my son. While I loved the home daycare, I worked about 50-hours a week and was completely exhausted. I got a random email announcing Elite Blog Academy, and within that email… she mentioned that she made a full-time income from blogging. I couldn’t believe that was even a thing. I was immediately sold, and convinced my husband to take money out of our extremely tight budget to invest in my newfound dream (kudos to him for not once mentioning that I’d had this dream for a total of 10 minutes). When I started… I didn’t even understand how bloggers made money… but I took the class extremely seriously (way more seriously than I took my political science degree) and I set a consistent schedule of 10-hours a week to dedicate to blogging, every week… without fail. I set an end date of one year… I’d keep that schedule for a year to see if I could get to full-time income within the year. If I couldn’t… then I could walk away and not have to live with the regret of not knowing what I could have done. Within 10 months of starting, I was making a full-time income from my blog, within 18 months, the blog was supporting my entire family. To say my life is better from Elite Blog Academy is the understatement of the year. I work 20 hours a week from home, making more money than I ever could have dreamed of in my old job. As stupid and hokey as it sounds, I get to craft the life that I want to live now. I can keep the kids home and raise them as a stay at home mom while I work during nap times and after their bedtimes. I can put them in full-time school and have a normal (albeit short) work schedule from home while I switch laundry and bake bread during breaks, or we can travel the world and experience life and I can work as I go. My husband was able to quit his job and chase his own dreams because I can easily support our family just on the blogging income. And while the money is amazing… it’s not the best part. The best part is getting to see the change in the people that you get to help. In my case (I teach people how to get out of the paycheck-to-paycheck cycle and save money), getting emails from readers that they’re finally debt free or that they got to quit their jobs to stay home with their babies makes this job a dream come true. Who is Elite Blog Academy best for? New bloggers that are willing to invest in doing it right from the start. While it can be tough to know if you have what it takes to be a blogger up front, there’s a very thorough assessment you can find here that I’ve tested with successful bloggers and unsuccessful bloggers before. A score of four would make this a solid investment (answer honestly and not what you think the right answer is though). Almost every successful blogger has a few things in common: They love to write (even if its handwritten letters and email) and they love to give advice and help people. It’s going to help if you have a topic to write about that you’re really passionate about it and bonus points if your topic is something you excel at or you’ve overcome. Established bloggers that will take the training seriously and want to increase their income. An established blogger is anyone that is already making some income from their blog, although not yet a full-time income. 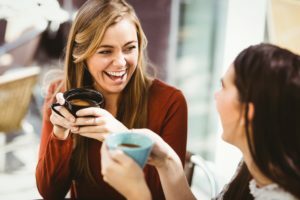 Professional bloggers already making a full-time income from blogging, but who are worried about the long-term sustainability of their business (I call this foundation issues- meaning that you make a great income, but your business is built on a deck of cards and not on a solid foundation). An easy way to tell if this is you… Do you control your largest source of income? If your pageviews decreased by 80%, could you still maintain your income? If your largest source of income (not controlled by you) went away, could you still maintain an acceptable income to you? Anyone who has been blogging for more than 5 years (this usually also falls under professional bloggers)- because the online business world moves fast, Elite Blog Academy is updated frequently with modern best practices and tutorials as new technology and strategies get tested and are perfected. Because Elite Blog Academy comes with a lifetime membership and all updates are included in your tuition for free, this makes this a gold mine for bloggers that build their business on older strategies that could 10x their results by trying new ideas. Anyone with a desire to create a product or start an online business but does not have or want to raise capital funds to start. Blogging is kind of a backdoor to the business world. Rather than investing a ton of money- you invest your time instead. Then you have enough income and have amassed enough followers to support your product or service when you launch. Anyone, whose ultimate goal is to be an author or a speaker but needs to create a platform of readers and followers before they can obtain their goals (hint: blogging is how you do that). 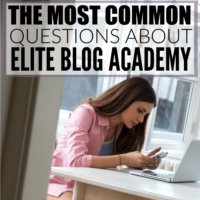 Who Elite Blog Academy is not for? Anyone not willing and open to learn from someone else. You’ll likely know if this is you. If you can’t stand the idea of listening to someone else and you insist that you’ll figure it out on your own- this would just be a waste of money. If you can’t find 10-hours a week in your schedule NOW to dedicate to blogging, I would hold off on this purchase (unless you have the money to invest and are okay with waiting… understanding that your chances of success fall considerably if you don’t plan to start as soon as you get it). Anyone that wants help in monetizing their blog or increasing the size of their platform (followers and readers). It just wouldn’t be worth your time and money without having those goals. Anyone that has demonstrated that they don't have the skills or the capacity to gain the skills to be a blogger. This is a tough one to write, because often… we don’t know what we’re capable until we try. That being said, I’ve occasionally gotten emails from people that can't write a single cohesive sentence or that have repellent personalities. I’m not trying to discourage you. If this is your dream, I’ll be your #1 supporter, but my job here is to give you honest feedback on whether this is a good investment for you and I want to give you accurate information. If you think this may be you, and want my opinion- you can write me at rosemarie@busybudgeter.com and I’ll give you my best advice on your personal situation. Every year, I survey those that have taken Elite Blog Academy based on my recommendation to see where they started, where they are now and how it changed their life. Call me sentimental, but I absolutely LOVE seeing the results of this survey and I've made more than one friend from it. EBA brought me from a girl that had no idea how a blog makes money to a full-time blogger in 10 months. It's pretty much my favorite thing in the world and I love seeing what it's done for others. If you’ve already taken EBA (or end up taking it and want to come back here next year to add your results to the survey… you can do that here). 56% have already increased their income from EBA between $100 – $1,000/month (this category is typically people who are starting with brand new blogs). 9% increased their income between $1,000 – $2,000/month (a mix of new bloggers, or people that had some experience already). 12% increased between $2,000 and $10,000/month (usually people that were blogging already, a very small few that just rocked it). 3% increased their monthly income by over $10,000 a month from EBA (they were already blogging full-time and used EBA to scale up their success). An impressive 90% of those that purchased Elite Blog Academy said they would recommend it to other bloggers. (keeping in mind that 8% of our survey respondents hadn’t finished Elite Blog Academy yet). Only 4% completed Elite Blog Academy in less than 4 months, and 86% completed Elite Blog Academy in more than 6 months. Which is something I see over and over again. Elite Blog Academy was designed and created to be completed in 12 weeks, but I think you're missing out on a lot of implementation if you attempt to do that schedule. It’s not how fast you complete the class, but how well you implement the assignments they give you. Which took me 9 months, and others even longer. Being faster here… isn't better, it's quite the opposite. As part of the survey- I asked for honest feedback for what they thought of the course… I’ll share some of the best examples of both the good and bad feedback here… I’m stripping names and websites of anyone that said they wanted to be anonymous). There weren’t a lot of negative comments to choose from, but I think it’s vital to look at negative comments anyway because you can get a lot of information from them. Comprehensive, step-by-step training on how to create a profitable blogging business from organizing your blog all the way to hiring and outsourcing once your business income allows that. Self-paced online training that's easily digestible and simplifies overwhelming concepts. 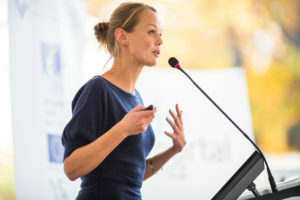 Training from a woman who has been there and done what you’re trying to do with SEVEN FIGURE per year results (that's over a million dollars a year), but can teach to the level where you are at now without overwhelming you. A tight-knit community that thrives on networking. I’m biased in this, but Elite Blog Academy changed my life and I feel it’s my personal mission to give back to that community in any way I can. Everyone else seems to feel the same way too. From questions answered, to help with promotions and sharing content… EBA members tend to be tight. (Bonus because if you ever go to a blog conference… you’ll immediately have people to hang out with). An extensive and impressive history of success stories and industry reputation. It makes it easier to dedicate time to it when you can be confident that it will work. The price… It’s totally worth it, and maybe this is my budgeting background coming through… but man that's a lot of money! It’s only open for registration for 5 days a year. I understand why, but this can be incredibly frustrating to someone who really wants to get started on their blog, only to learn they have to wait 10-more months until registration is open. You have to have almost perfect timing to get in, your best bet is to join the waiting list here. They don’t explain how to set up your website on WordPress since you’ll only need to do that in the beginning. (We have a Blog Starter Workbook that can solve that problem for incredibly cheap here if you need it). 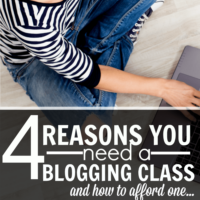 I mentioned this before but wanted to highlight it because many of the concerns with spending this much money on a blogging class have nothing to do with the class and everything to do with your confidence in your ability to be a blogger. I mean, obviously- not every single person that takes this class seriously will have wildly successful results. 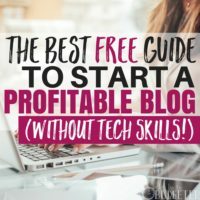 The problem with that is that blogging involves skills that most people don't know they have until they try… so saying you should only start a blog if you have business skills, marketing skills, and are relatable would discourage a lot of people that would have been successful had they tried. Full disclosure: not to knock myself but in no way, shape, or form did anyone in my life think I would make an outstanding blogger or have any of those skills before I tried. 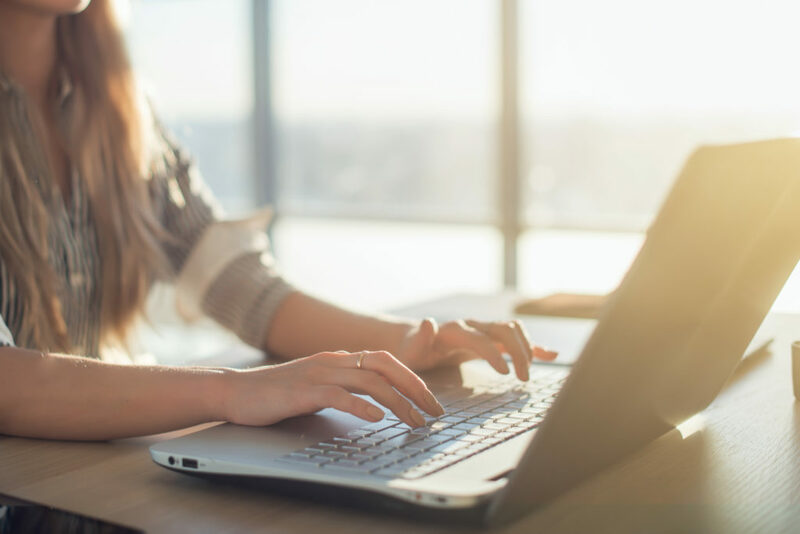 There’s an assessment available that you can take for free here– that scores your natural aptitude to be a successful blogger. If you take that (answering honestly) and get a 4, I would seriously pursue a path in blogging… if you score less than that… that’s not to say that you can’t make it as a blogger, but just to be aware that you may have a larger learning curve. Are your results typical? Do many bloggers make a full-time income from blogging? It depends on your perspective, tons of bloggers make much, much more than me. I’m still the “little fish”. Even several from my EBA class make much more than me. 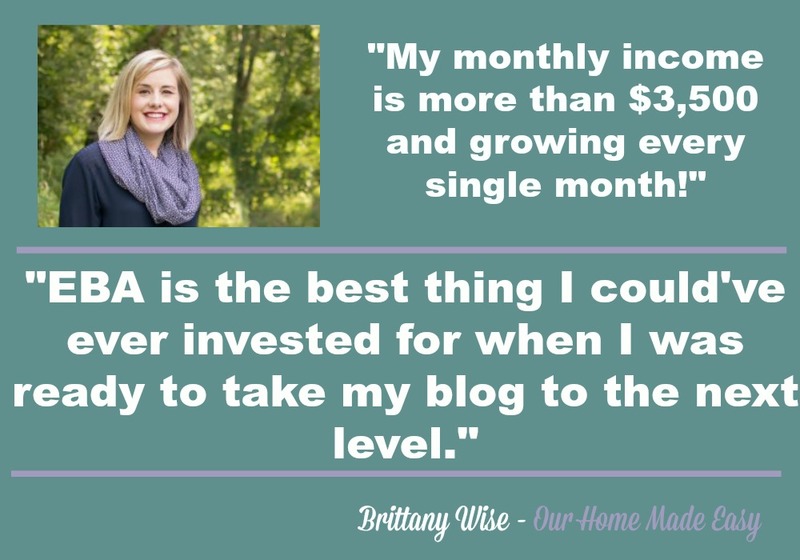 One of my favorite bloggers makes over $150,000/month blogging (she shares income reports here. She’s been blogging for several years now and is showing no signs of slowing down). Keep in mind that for everyone that decides to share their income reports, there are countless others that don’t. I know tons of bloggers that are making full-time income (meaning that blogging let them quit their jobs to work from home), most of whom I met in EBA (we’re a tight group). I would say that my results are exciting, but not very unique. I’m only unique in that I don’t feel like I “own” my success. I know that Elite Blog Academy is what caused me to grow and I have no problem sharing that with others. Yes! You do need WordPress.org (which is different from WordPress.com!) and you need to be self-hosted. I did that at the same time as I started the class. It wasn’t super fun, but we were able to do it ourselves and you can get hosting with the company I used for $3.95/month (Bluehost). You can find out more info about how to start a self-hosted blog here. Will Elite Blog Academy teach me the tech stuff in blogging? Setting up my site on WordPress etc? Some of the tech stuff they’ll teach you- but they won’t deep dive specific examples. For instance- they teach you graphic design but not how to alter an image in Picmonkey. That's because it takes 5 seconds to search a Youtube video to teach that and Picmonkey changes its interface so frequently she’d have to update the class 6 times a year to have it stay accurate. We have a super affordable low cost Blog Starter Workbook, which gets you to the point of investing in Elite Blog Academy. It teaches you the tech stuff of setting up your website, getting self hosted, understanding how to use your dashboard, choosing a name etc. You can grab the Blog Starter Workbook here. This is a tougher one. I wouldn’t say you’re ever crazy, but this is a lot of money to spend on a whim. My biggest concern would be that you buy it and don’t do the work, you end up hating blogging, or you end up not having enough time. I can tell you right away that you SHOULD NOT get the class if you don’t have 10-hours a week to dedicate to blogging. Even if you swear you’ll have time in a few months, that usually doesn’t happen. Look at your schedule now and figure out a way to fit in 10-hours a week. When you say brand new blogger, do you have any experience at all? Did you blog on a free platform like blogger? Do you love writing? My only concern would be that you start and realize that you hate blogging. If all of that sounds like you PLUS you have 10-hours a week to dedicate to blogging (that 10-hours includes coursework and regular blogging) AND you understand that this will be tough in the first few months and get easier (and more profitable) as you grow AND you can afford the class, then I say get the class! How does this compare to the Best blogging courses? Ha. I like this question. Well, favorably considering this is the best blogging course. In just over 3 years, Elite Blog Academy has had over 6,000 students, an insane number of success stories and is well regarded by industry standards. It’s even one of the few blogging classes that Problogger endorses. A common concern in investing in Elite Blog Academy is when people don't understand that they want to have blog. This can be confusing because some people think of blogging as a writing career (which makes sense since I’ve been writing to you for three hours now). The end result with a blogging business is actually to create your own products for your audience. Just like any other traditional business. Now, as you get experience and grow your business, you may find that you’d rather be a speaker, an author or even an affiliate marketer (meaning you just sell other peoples products instead of your own)- each of those paths are completely okay, and all are covered in Elite Blog Academy… but the “Elite Blog Academy path” is to eventually take that income you’re earning and invest a portion of it into developing products that will help your readers. Because you’ll already have buyers lined up (your readers) and won't need to spend money in advertising like a traditional business. And 2. Because you’ll know exactly what your reader needs because you’ve built the blog by serving their needs. Anyway- don't let that overwhelm you, I just wanted to give you heads up that this goes well beyond the writing part of the blog. Occasionally, I have someone that's confused thinking they need to attend a school in person to take Elite Blog Academy. Elite Blog Academy is a self paced online class and can be instantly downloaded. Activate is a yearly blog conference for Elite Blog Academy students. It’s AMAZING. I was able to speak at it last year and am speaking at it again this year (if you come- pull me aside and say hi!) There’s something magical that happens when you get around people that understand blogging and there are so many tips and tricks you pick up while being immersed in other people's businesses that it's a magical experience. Plus- a few days away from the kids, in a fancy hotel, with fancy food. Need I say more? There were no major changes to Elite Blog Academy in 2018, but they had a pretty big overhaul in 2017 with EBA 3.0. Like always, any updates are free to you and this course is routinely extensively edited and updated to teach current best practices and strategies. Side note: There will be new bonuses this year, but we don't know what they are until it launches. You can join the waiting list here to get told first. How to find your niche and organize your blog. Social media and viral growth. Making money with your blog. Making a profit with ad networks. Profit through selling a product. Does Elite Blog Academy have an Affiliate Program? Elite Blog Academy does have an affiliate program, but it’s not open for anyone to join. You need to prove that you’ve completed the course and had success before applying to become an affiliate. This is one of my favorite aspects of their affiliate program because it prevents the overzealous one sided recommendations of people that haven't even tried it and seen success which can be common inthe online world. Are you sitting down? The cost of Elite Blog Academy is $897. Just breathe. It’s going to be okay. Don’t get me wrong, I’m like the cheapest person alive, but this is totally worth it. It’s even the ONLY purchase I would ever recommend putting on a credit card. This purchase should be treated in the same manner as a college course or a technical school. I spent my entire day talking people out of stupid purchases, but this is the type of purchase I want people to make- an investment in themselves and their future (assuming you’ve read all 6,000 words in this post and you’re dedicated to making this work). You likely can't buy it now (it's only open for 5 days a year), but you can join the waiting list here). They have a 100% money back guarantee BUT you have to do the work and be able to show that you did the work before you can ask for a refund. Which means- don't take this purchase lightly. Commit first and then buy. If you’ve read all of this and you want to buy it- you have my absolute recommendation (something I take pretty seriously). I think this class will change your entire life. And I’m excited to be even a small part of your story. You can’t buy Elite Blog Academy right now (it only opens for registration 5 days a year! ), but you can join the waiting list here. Thank you so much for writing such a thorough post, Rosemarie! I know EBA is awesome, but had kind of decided not to invest because of the steep price. You may have changed my mind! I really appreciate your thorough approach to this review. 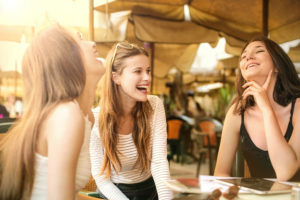 Sharing your specific monthly income, the results of the post-EBA survey, and even some negative reviews really gives those of us on the fence a lot more to go on. Well done and much appreciated! Thank you so much for this Rosemarie. I have spent the whole day going through your video and reading what you have to say and thinking, thinking and thinking some more !! Like Rebecca in the above post I had decided not to take the course, but now I think it would be a big mistake not to.Many thanks for changing my mind 🙂 !! Happy to help Linda! And this is so exciting! Rosemarie, this is a wonderful review. Thank you! I know that in order to accomplish my goal, of operating a successful blog and making a living doing so, I need to take EBA. But I’m still so on the fence, mostly because of the cost. Heavy soul-searching going on with me! Totally understand… That’s exactly why i did this. There’s a lot of things to think about when you talk about spending that much money on a course. Thank you SO much for this great review of EBA. I have been on the fence about the course, but I think I am going to take the plunge and see what EBA can do for me and my blog. I’m excited to see the outcome! Thanks again for the honest and down-to-earth review. I appreciate it. Thanks for such a detailed post. I have a blog that I’ve been dabbling with on my own but really feel like this might be the type of course I need to make it more professional and take me to the next level. I am on the waiting list but will be honest, that price tag is stressing me out. I know registration is only open 5 days a year but do you have an actual date? I was trying to figure out a budget for coming up with an extra $900 for the course. I do! I just found out like 5 min ago… It’ll open for 2018 on March 5th… I’m at an eye doctor appointment, but if you email me at busybudgeter@gmail.com– I can give you some suggestions to be able to raise enough money to pay for it in a month. Alyssa | Flaxseeds & Fairytales recently posted…Are your shoes sabotaging your workout? Find out here! Yes Alyssa! This is exciting! Keep me updated as you go along! Totally agree, Rosemarie! I’m about halfway through EBA, and I plan to finish by the end of the year. I had just set up my blog when I started EBA, and was nervous I was too new for the course. I was totally wrong, because I truly feel like I got started on the right foot. I didn’t waste time with free courses and the endless free information that can totally confuse you. I just put my blinders on and completed every assignment in the order they were given. I recap at the end of each month, and December 2017, I had about 5000 monthly pageviews and a few dollars in my ad network account. January, I completed the social media deep dive, and finished the month with 50,000 pageviews and $76 from ads. Nothing crazy, but I’m so glad I have stuck with it to see this progress. I think there is a point about 6 months in that you start to get a little unsure of yourself and tired of working for nothing (which is actually something), but if you just keep going you will have a breakthrough moment. I’m so glad you recommended this course to me and I’m so glad I am pushing through to complete it. 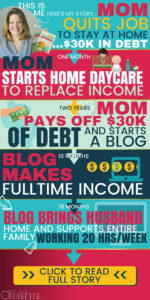 My big dream for the year is to replace my current income with blog income, and STAY HOME!!!! I am confident I can do this!! Thank you, thank you thank you! For such a detailed and honest review. I have been following your boot camp for awhile now and in the past have completely ignored each and every one of your emails regarding blogging. Until last week. I don’t know what happened, but I have been reading and researching all week. I want to join EBA when it opens (hopefully soon!) but I am making myself work for it. 1: Save as much as I can between now and then. If I can’t succeed at that, I don’t deserve it. 2: Start my blog from scratch using your workbook. 3: Work 10 hours a week on said blog. If I don’t have the time now, I’m not going to in 3 months. I really just wanted to thank you for getting me this point! Ha. I *love* that you gave yourself work to do BEFORE you earned the prize. (Clearly the boot camp is doing it’s job). The key to all of this is implementing the action steps… and here you are doing just that…Way to go! Love, love loved this post! I finally got serious about my blog this year (2018) after dabbling and making excuses since 2015. I told myself I would blog for a year before taking EBA, but now I’m seriously thinking I should take it this year. I mean, how much further ahead would I be in a year, right? Thanks so much for the honest take on it!! Thank you so much for this detailed and balanced review. I’ve considered taking this course since I first decided to blog, but the steep price has held me back. I’ve only begun with my new blog (I have an older hobby blog), and I definitely feel like I could use a course that gives me a direction and plan. I follow Ruth and love her stuff, and I’ve heard so many wonderful things about EBA, so I think I’ll take the plunge and invest in it after reading this! It makes such a difference! Good for you! Thank you for sharing this post. Your blog is very informative and useful. I was already on the waiting list before finding this review. I heard you on Nick Loper’s podcast and was interested in your blog. Lucky timing for me! I hobby blogged for about 3 years but slowly stopped. I now know it’s because I wasn’t focused on a specific avatar and had no game plan. Over the past 2 years, I have built up a freelance writing business, writing for some of the top bloggers and influencers in the online space. 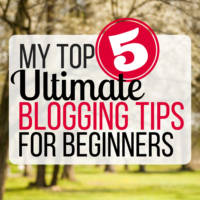 This has been like a free education for me and has helped me see where I went “wrong” on my first blog. I am super excited to start again, this time with my avatar in mind and a goal to reach for. Thank you for this awesome review. Can you tell I am chatty, too? LOL!! I’ve been saving up for this course all year long! I can’t wait til it opens! Your story is a huge part of why I’m taking the leap! Thank you! Elite Blog Academy looks promising. You’ve shared a review which is so convincing that I can hardly stop myself from enrolling myself. I’m gonna start saving for the course and hopefully buy it in 2-3 months. Shafi, it won’t be available in a few months. It only opens once a year and I believe enrollment is open for maybe a week or two. Hey Shafi! Yep- That’s the biggest downside of the course- it’s only available for this week in 2018 (But it will open again in 2019). Thank you for writing this post. I noticed EBA is now open for enrollment and I’m trying to decide between that and Create & Go’s courses. Have you heard of them? They have a bundle that looks like it’s a few hundred bucks cheaper and I’m still trying to cross-reference what all comes with the bundle and if it parallels EBA. If you have any insight into Create & Go’s courses, I’m all ears. Thanks! Hi Rosemarie! Thank you for this detailed review. I haven’t read through all the comments, so I apologize if you already answered this. Do you recommend 10 hours a week working on your blog PLUS the time you spend on the course? Or is 10 hours for both? I hope that makes sense. Thanks again! I was completely stoked to get your return email which was actually a video suggesting me how to further my personal niche, which is living as an expat in Croatia. I showed it to my partner ~ the fact that you researched it from your personal perspective as well as what the competition might be like ~ really amazed me. Needless to say, I took your suggestions and began focusing on the Travel aspect. I didn’t know how exactly but finally decided I must absolutely do EBA, so I borrowed money to sign up! So now I will follow the program for 9 months (like a baby) and I feel secure that I’m on the train to success! It’s a very good feeling! I loved what you said, “it’s my birthday Christmas and mother’s day present for the upcoming year” ~ same here! Ok things will be tight for awhile but if not I’d never have the opportunity to buckle down – set a schedule – and make it happen. 18 months to 2 years. I love writing, helping people and all things entrepreneurial- I want to build the business now – I couldn’t afford to put it off another year. Thank you from the bottom of my heart for your encouragement and for being available to help me make such a (I believe) life changing decision which is equivalent to two months salary here in Croatia- but I feel very decisive after plunking down the money, commitment is a wonderful thing! This course sounds so, so good from what I have heard. I really wish I could take it but can’t afford the steep price. I should say though, i believe it is probably worth the price. I just literally don’t have those funds. And this isn’t one of those “I don’t have the funds but buy coffee every day” kind of comments. lol. We literally buy nothing extra. But if I make a little from my blog this year maybe I could invest it into EBA next year. My belief is that in the beginning of a business any money you make basically goes back into building up the business. Thanks for sharing how worth it the course is. Thank you for such an indepth review. I am partway through EBA, having signed up last year. I just let other things take over but I know now I must persevere and see it through. Great motivation, thanks! And congratulations also on your success. That was a great video, I wish i had seen it months ago. I did purchase EBA in March and haven’t made it through Unit 1. I had to take a few weeks off but am back at it. I love everything about the program and the rest of Ruth’s programs as well. I cannot believe how it has actually changed my entire life. I do have some questions about the course if you truly don’t mind an email. Thanks for such an in depth review. By the way i watched the whole thing. The clearness in your post is simply excellent and that i can assume you’re knowledgeable in this subject. Great, thanks for sharing this article post. Thank you, so much to share this kind of Article with us, It has a lots of great info for beginners. thanks for sharing the review. As a blogger it helps what courses are being taught in the market and how it affects the marketers. Good post. Keep it up. New knowledge leaned from this post. the easy explanation also. thanks for sharing.